Our Company provides top quality professional Magicians for any event or party, birthday, wedding or special function. Paul is the best close up strolling magician you will ever see. His mind blowing tricks have guests wanting more yet confused how he can pull them off especially so fast with humor too. Here is a clip from when he was on America’s Got Talent and made it to the semi finals in Vegas getting all 3 judges to say yes as they were amazed. Paul’s MAGIC IS SPELLBINDING AND CAPTIVATING. Paul’s brand of walk-around psychic magic is a fascinating combination of magic tricks and mind reading. His magical entertainment has fascinated kids and adults alike and has never missed to enliven the guests at corporate and private functions where he has performed, with or without his cat. 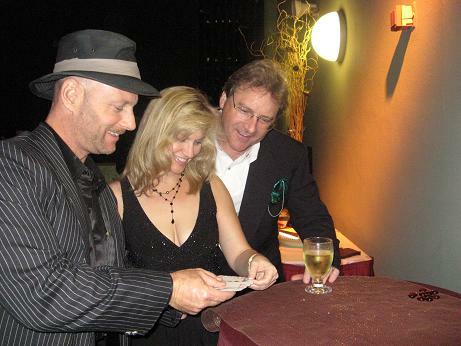 When you, your family, or friends have a party or event, Paul will amaze and dazzle everyone with incredible strolling close-up playing card magic. 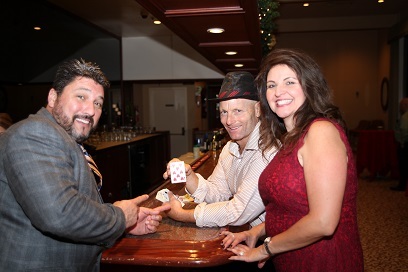 Paul and Todd Elliot, who reps him, work together kind of like Penn and Teller on card tricks to blow away your guests with jaw-dropping magic. Whether you are planning a small intimate gathering or a large audience private party or corporate event, Paul can tailor a show to amaze and dazzle your guests! He has been on America’s Got Talent, The Kathy Griffin Show and many celebrity parties and events. 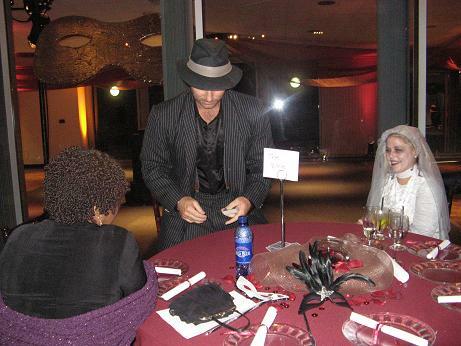 Todd entertains by doing card tricks, prop tricks to involve adults and kids. He can show his magic tricks to a big group involving everyone. His kid’s magic is appropriate for ages 4 and up as he will perform and make it very interactive. 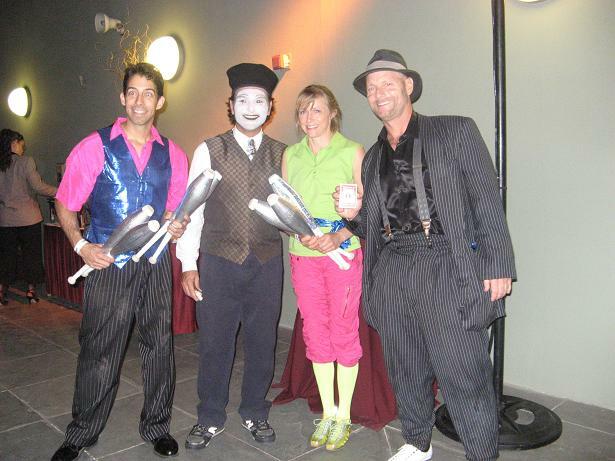 He will enhance your party with roving magic to captivate all your invitees and can make your guest of honor, child, birthday guy or gal or bar/bat mitzvah teenager the star by showing them tricks ahead of time. He is very personable and great interacting with everyone. He also teaches a trick or two at every event so guests can walk away with a fantastic trick. 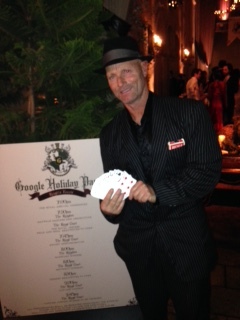 Magic Castle Member Steven (pictured above) is a long time professional magician. He is very personable and does a variety of tricks using card, coins, ropes and much more. He will have all of your guests amazed and everyone will enjoy his magical wonders. He can do strolling or sit down shows. Steven is also a clown and balloon artist for any events.